Observation - UNKNOWN MICRO MOTH - UK and Ireland. 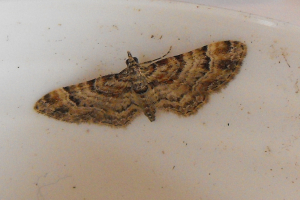 Description: A small moth about 8mm across with bands of light brown colour across both wings. It came to light. A small moth about 8mm across with bands of light brown colour across both wings.